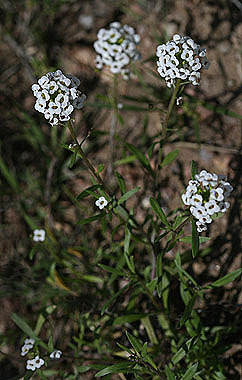 Lobularia maritima is an escaped ornamental that grows as a weed on disturbed sites on the plains. Leaves are narrow and 1 to 2 inches long. 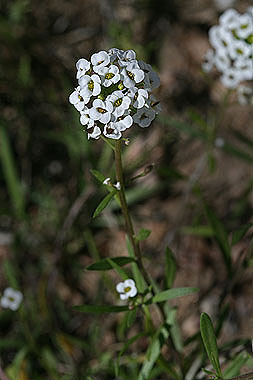 Plants grow to a height of 4 to 12 inches.